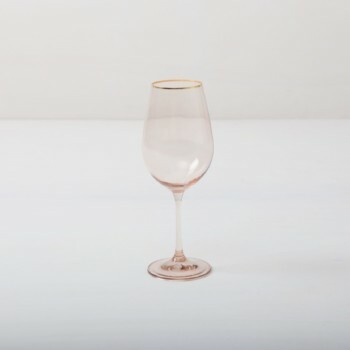 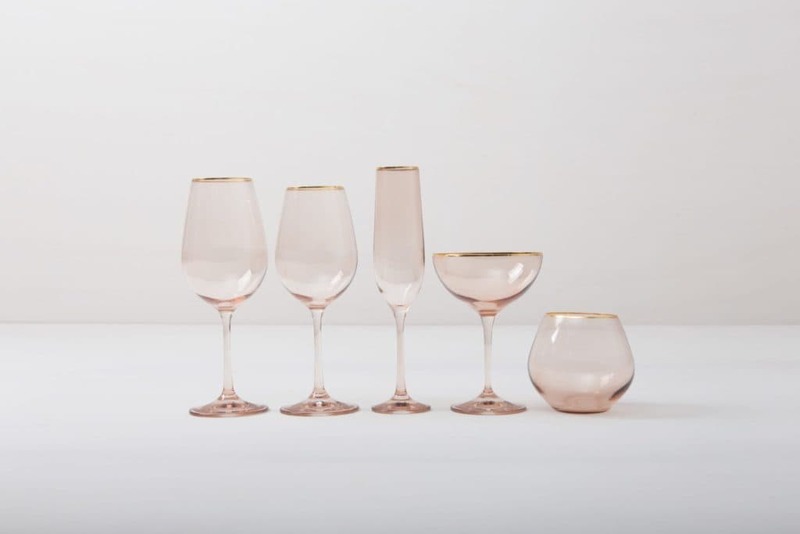 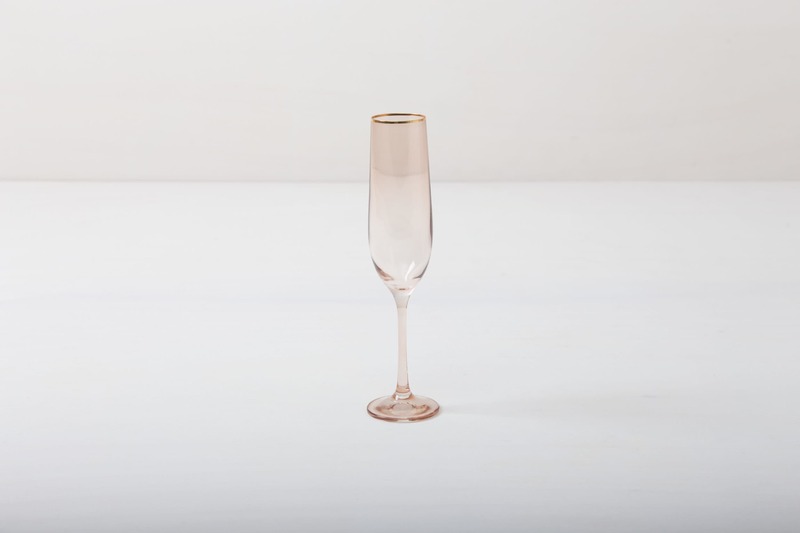 This champagne glass with gold rim and slightly tinted light pink glass adds to every dinner or reception. 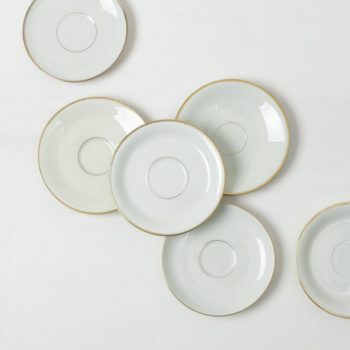 You can use it for champagne, sparkling wine, Prosecco or cocktails. 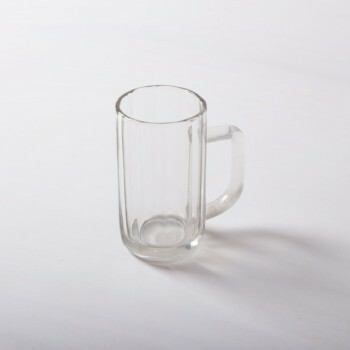 Obviously, you can just drink water from it, too. 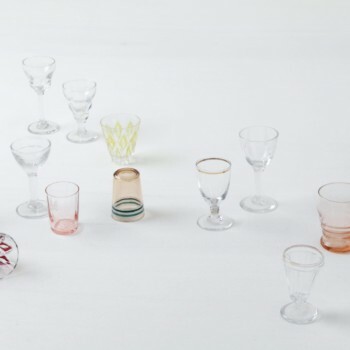 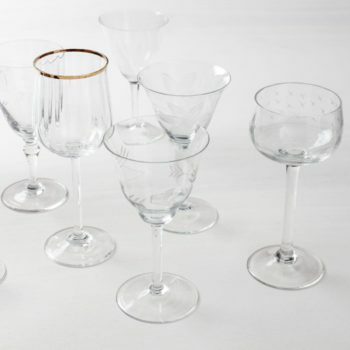 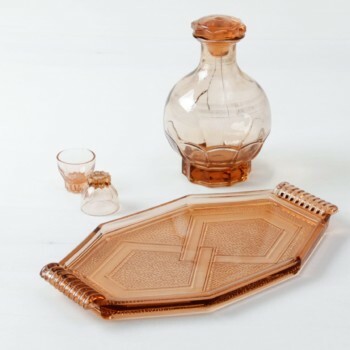 The full set contains water tumbler, white wine glass, red wine glass, champagne flute and champagne coupe.